Veteran golf is not simply or solely about golf or indeed winning. The camaraderie and providing a friendly, supportive social environment for members is essential to the experience and success of the Veteran Golfers community. It is an excellent way to meet new friends and provides a platform for social interaction between people from all walks of life in the same age demographic irrespective of golfing ability. 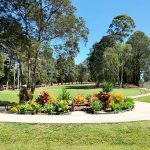 Membership of Cooroy Veterans’ Golf Club is available to financial members of Cooroy Golf Club under the following classes of membership. Ordinary Member: Open to a male member who has reached the age of 55 years, holds a current Golf Australia handicap and is an amateur golfer. Restricted Member: Open to a female member who has reached the age of 50 years, holds a current Golf Australia handicap and is an amateur golfer. 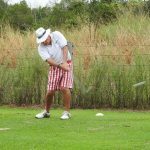 We offer an eclectic program of friendly but competitive golf events at Cooroy. Also as a member club of the Sunshine Coast District Veteran Golfers Association, we offer our members the opportunity to play at some of the best courses on the Sunshine Coast through our host day program – e.g. Caloundra, Gympie, Headland, Maroochy River, Mt Coolum, Nambour, Pelican Waters, Peregian Springs, Noosa and Tin Can Bay. 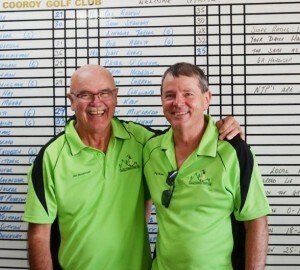 You can view a copy of Cooroy Veterans’ Golf Club’s Constitution by clicking on the link below. click for a short story on Jim Penman. Our regular competition is held Wednesday morning with a mixture of single and team formats to provide variety. Tee times are from 6:30 am in summer (September to April) and from 7:00 am in winter (May to August). We play a Monthly Medal competition each month. You must be a financial member of Cooroy Veterans’ Golf Club to win a major prize in our Monthly Medal competition. To allow players to arrive back at the clubhouse around the same time for presentations and socialising we frequently hold shotgun starts for our Wednesday competitions. Our Wednesday competition is open to male veteran golfers only. Nomination sheets are usually available in the clubhouse a week in advance. We are pleased to have the support of John Madill Toyota as our Monthly Medal sponsor. We participate in a program of home and away host day events with other clubs in our District. 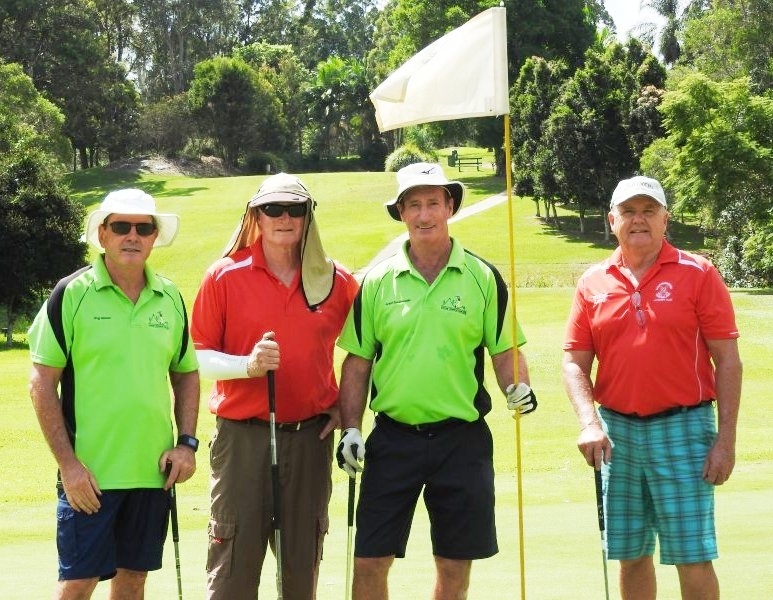 Host day competitions are an important part of veteran golf as they provide an opportunity for members to socially interact with other clubs in our District and to play some of the best golf courses on the Sunshine Coast at reasonable cost. We are pleased to have the support of smallPRINT Australia Pty Ltd as our ball sponsor for our host day ball run down and NTP competition. We have a prize donation program for Wednesday competitions. Members can donate individually or get together with other members to sponsor prizes for a competition. Participation in this program allows us to maintain prize levels and provide other benefits. If you are interested in being a member prize donor speak to our Captain or Secretary/Treasurer. 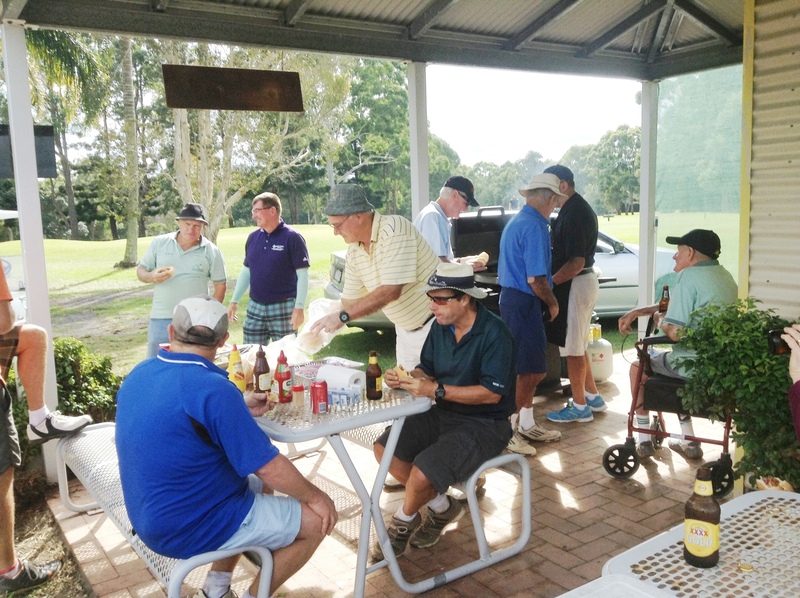 Male Veteran Golfers visiting the Sunshine Coast are WELCOME to play in our member competitions at reasonable cost. Nominating in advance for a competition is essential so speak to one of our friendly staff on 07 54476258 for more information. Our most prestigious competitions are our trophy events. The winner has their name etched onto special trophy boards or trophies which can be found in the clubhouse. These events are played annually and are open to financial male members of Cooroy Veterans’ Golf Club only. A brief description of each together with a list of winners can be found below. click for list of Medal of Medal Winners. The Medal of Medals is a year-end event for our members who have won a monthly medal during the year. The qualifiers play 18 holes of stroke play (with handicaps) to determine a winner of the Medal of Medals title for the year. The lowest net score is declared the winner. click for list of Handicap Champions. The Handicap Championship is held in conjunction with the Grade Championship. 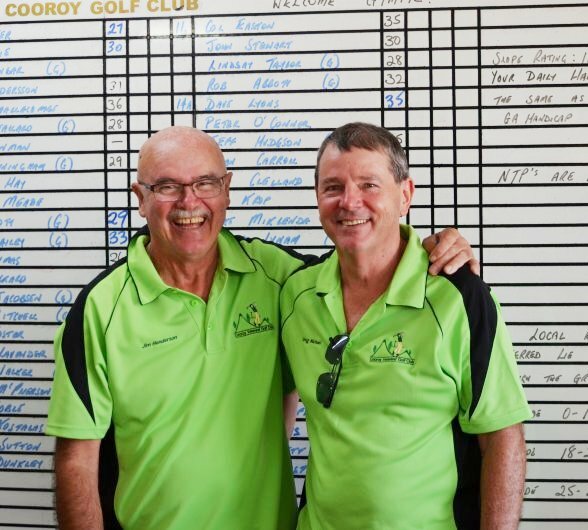 To qualify a member must have played in at least six 18 hole single events at Cooroy Golf Course run under the auspices of Cooroy Veterans’ Golf Club during the calendar year. 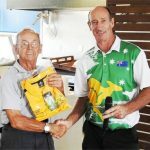 3 of those six events must have been played in Cooroy Vets weekly Wednesday competition. It is contested over 36 holes of stroke play with the player with the lowest net score declared the Handicap Champion. click here for list of Grade Champions. Contested over 36 holes of stroke play the player with the lowest gross score in each grade is declared the Grade Champion. 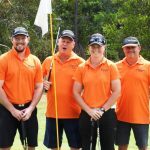 To qualify a member must have played in at least six 18 hole single events at Cooroy Golf Course run under the auspices of Cooroy Veterans’ Golf Club during the calendar year. 3 of those six events must have been played in Cooroy Vets weekly Wednesday competition. NOTE: Event discontinued in 2018. 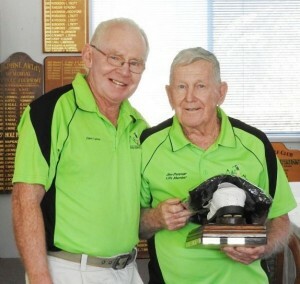 Norman Garth Baker, or Garth to his friends, a Pomona resident and former Pomona High School teacher, was a long-time member of both Cooroy Golf Club and Cooroy Veterans’ Golf Club. 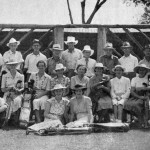 Garth, a cancer sufferer, passed away in Gympie on 23rd September 2009 aged 79 years. In 2010, Cooroy Veterans’ Golf Club member and former Cooroy Golf Club Greens Director, Rob Stonehouse (aka Stoney) , also a cancer sufferer, inaugurated and donated the Norman Garth Baker Shield in memory of Garth, a friend and mentor, as he was to many other Cooroy Vets. The Norman Garth Baker Shield is our Annual Pairs Matchplay trophy event. Annual Single Matchplay trophy event. 16 players from the qualifying round progress to the seeded match play phase. Knockout matches are then played until one player is left standing. A player’s handicap at the beginning of the qualifying round applies and does not alter for the duration of the competition. The number of strokes given is the full handicap difference. The lowest marker concedes strokes to the other. The match is completed when one player is ahead after the stipulated number of holes or is more holes up than the number of holes remaining to be played. click for list of Host Day Trophy Winners. Inaugurated by Jim Penman, long time Vet and past Captain, this trophy promotes and rewards participation and performance in District Host Days. A player’s 10 best Stableford points are counted with the highest aggregate score for the year taking out the trophy. To qualify you must play in the nominated number of home and away games.